How to Build Energy Efficient Timber Home? You are here: Home / How to Build Energy Efficient Timber Home? On top of aesthetics and durability, another main factor that we should not overlook in building a new timber home is its energy efficiency. This won’t only be beneficial budget-wise, but this is also an environmentally friendly move. To help you enjoy an energy efficient timber home, consider the following tips. A house’s heating and cooling system could consume the greatest expense. In fact, this is said to cover 56% of the energy use of an average American home. 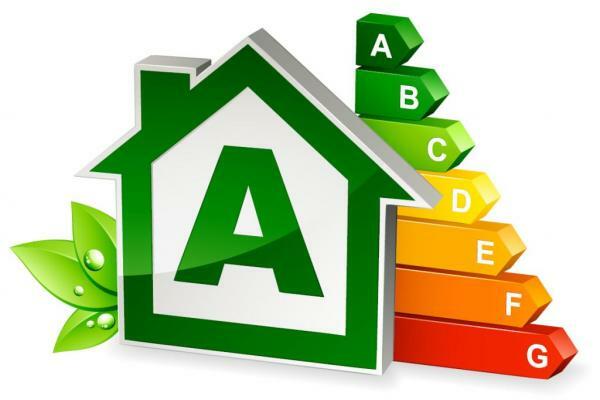 Given the rise of energy rates, it’s about time to choose the most energy-efficient alternatives. You can start with solar water heating and geothermal heat pumps. Heating water consumes a quarter on each penny spent for energy bills. 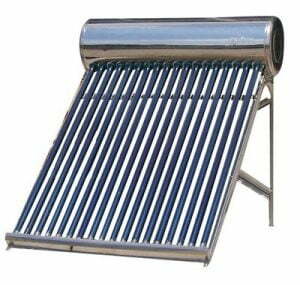 Thus, it’s ideal to simply install a solar water-heating system. This includes collectors, plumbing systems, and storage tanks. It’s very simple. Even your grandparents know how it works. Instead of consuming electricity or gas, the constant energy of the sun powers the solar thermal systems to heat water for a home. Since electricity or gas consumption is cut down, huge savings can come your way. Not to mention the perk that there are some states offering incentive programs for homeowners with solar water heating systems. Geothermal heat pumps make use of the constant internal temperature of the earth to offer heat to homes. This includes water-heating and central air conditioning functions. No matter what season it is, the temperature just a few feet underneath the ground’s surface is always warm. A geothermal system can be done by piping the constant heat to your home via a ground-heat exchanger during winter. On the other hand, when summer strikes, warm air can be drawn out of the home and get absorbed by the earth. They are proven to be quieter and can last even longer than air-source heat pumps. Even your windows can be optimized in a considerable sense. This includes coatings which protect the interior carpets and furniture from fading and wearing out, exterior glass glazes which get rid of water spots and dirt, and soundproof windows which minimize outside noises. However, as you select the kind of windows to install for energy efficiency, you must consider the kind of climate you regularly have in your region. 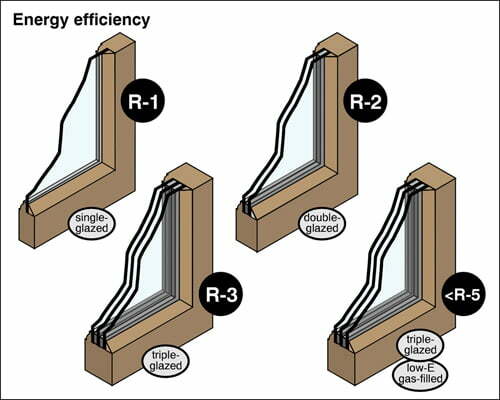 For instance, in colder places, the U-factor that rates a window’s insulating capability, is essential. Those with low U-value have better insulation. Thus, in northern areas, you might want to choose windows with at least 0.35 value. If you live in a warmer area, you can choose one with a maximum of 0.75 value. You need to know the need above all else to ensure that you’re picking the right one and avoid wasting money instead. Like how windows work, exterior doors have many varieties. Patio, entryway, and sliding doors all have versions with Energy Star label. This helps you check which products pass the government’s strict guidelines of energy efficiency. To make your entryway system more efficient, try looking for improved core materials (which come with U-value). Reclaimed doors and wood which are certified by the Forest Stewardship Council are also available anywhere, and you can finish it with low-VOC finishes and stains. VOCs stand for volatile organic compounds, which emit as gases and contain chemicals that lead to short-term and long-term health issues. To be safe, choose a low-VOC coating to keep your family’s health away from danger. Steel and fiberglass counterparts with Energy Star labels are still more energy-efficient, though. As you top off your structure, the best option is a durable and energy-efficient set of roofing materials. They might cost big at first, but the savings you can get from reduced maintenance and energy bills can help you save more in the long haul. Also, because of its durability, you don’t need regular replacements. Aside from more money saved, it also helps the environment by low wastage for landfills. A metal roof is always ideal. It never warps, splits, molds, or rots. Plus, it has reclaimed content on top of being recyclable. You can buy metal roofs with standing-seam styles and shingles and enjoy a more energy efficient return at the same time (with reflective roof coating). They also come in various coatings and colors and can absorb less heat, reducing air-conditioning costs by around 20%. If you’re given an option to have a roof that produces electricity, then that could be your top choice. That choice is now growing more popular. BIPV or building-integrated photovoltaic roofing products mesh with shingles and roof tiles to convert sunlight to electricity in a direct, safe, and quite way. No carbon dioxide emissions. Instead of mounting solar panels atop, BIPV roof panels offer a remarkable finish since they can blend well with conventional roofing materials. Various choices are offered by multiple manufacturers. You can also discuss with your chosen contractor the best setup to follow. Take a look at the video below to see how these panels work. As you can see it’s actually not hard to build a house that’s teeming with energy-efficient features. As long as you pick the right products, you can get more savings and give more favors to Mother Earth. If you have other suggestions on how to turn your timber home into money and nature saving beast, please let us know in the comments below!